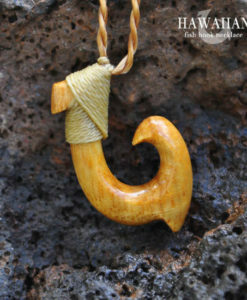 Carved from rare two tone mammoth ivory by Pookela. 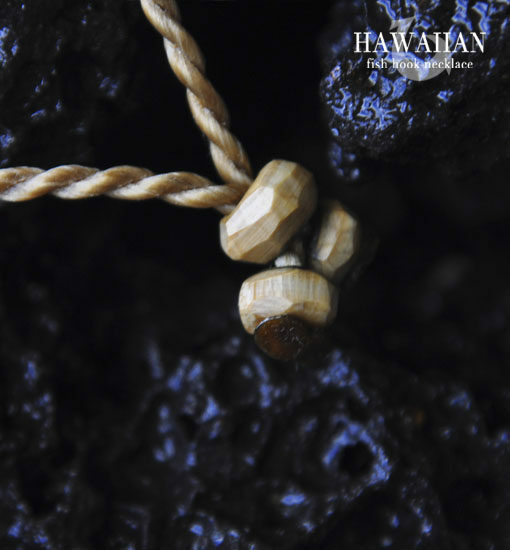 If you look closely you can see the grain patterns that have been formed over thousands of years. 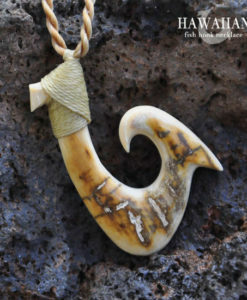 This piece is said to have been harvested from a mammoth that was frozen during the ice age. 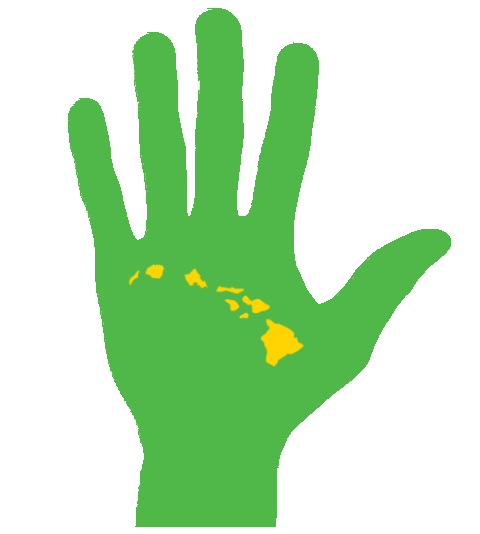 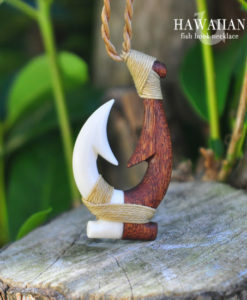 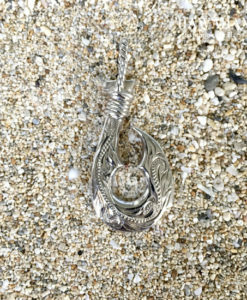 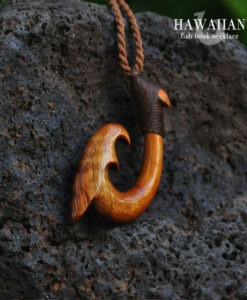 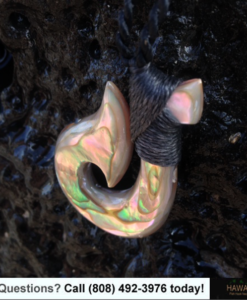 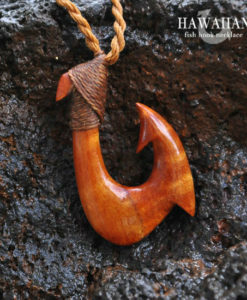 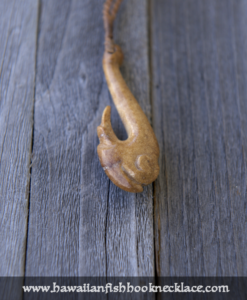 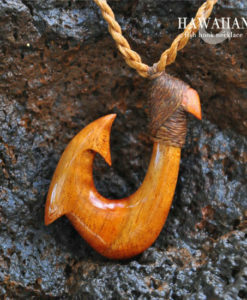 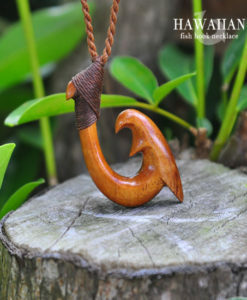 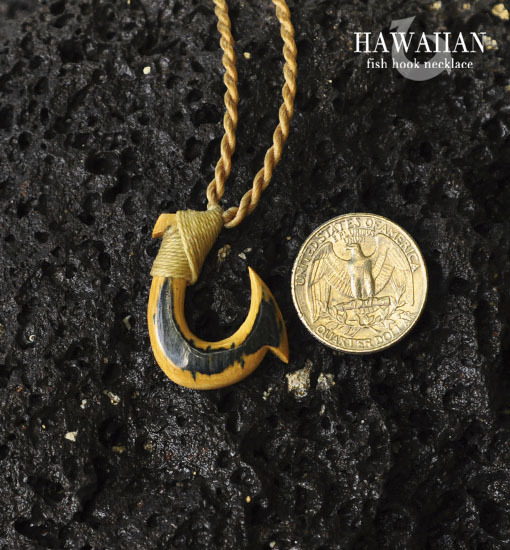 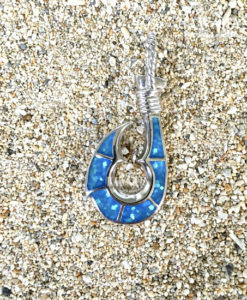 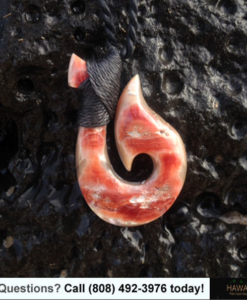 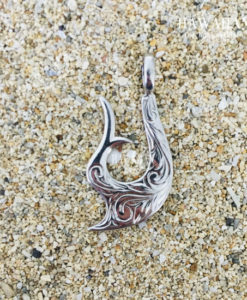 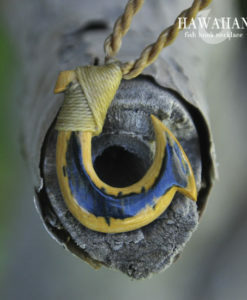 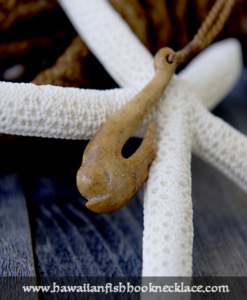 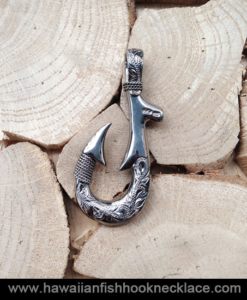 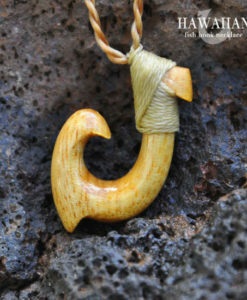 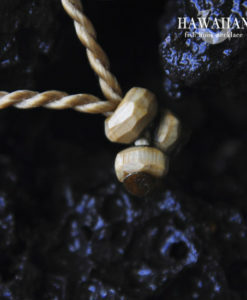 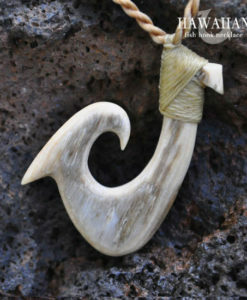 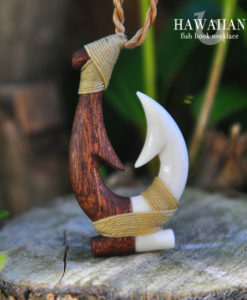 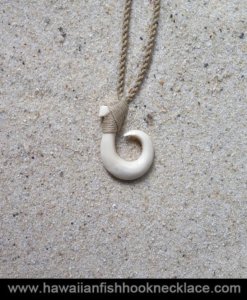 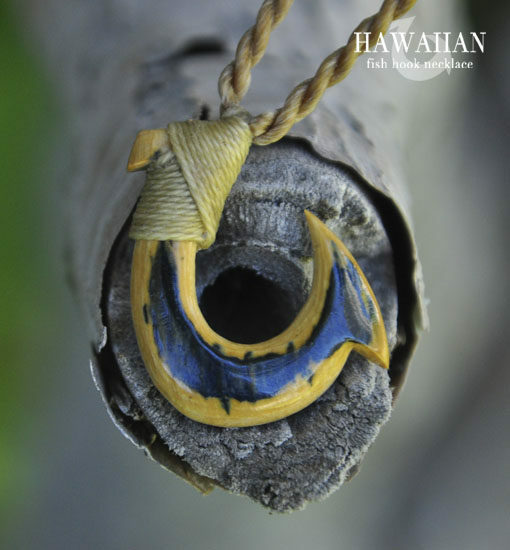 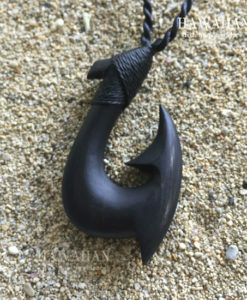 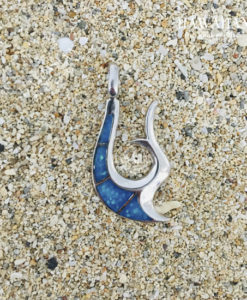 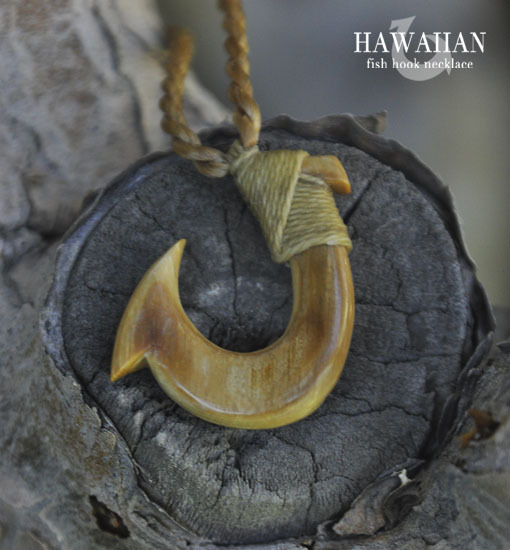 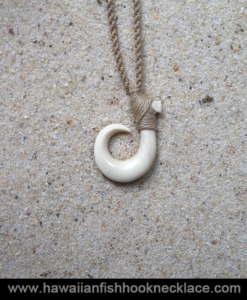 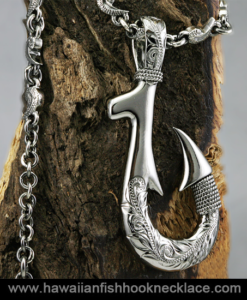 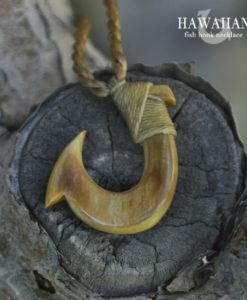 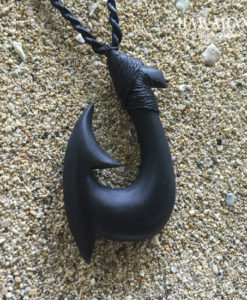 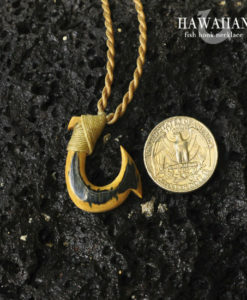 The Mammoth Makau (Hawaiian fish hook) in the picture is the one you will receive.